Cape Town - Kaizer Chiefs head coach Steve Komphela was visibly disappointed after his side 1-1 draw against Free State Stars on Saturday. According to the club’s official website, it was the Soweto giants’ fourth draw in a row in the Absa Premiership. The Glamour Boys had a difficult start to the match, but the more the game progressed more goal scoring opportunities came their way at the Moses Mabhida Stadium. “Based on how we played, we should have won this game,” the Kaizer Chiefs mentor reflected. Komphela was happy about the way the defence operated, highlighting as well the performance of Teenage Hadebe, who made his Chiefs debut against AmaZulu last week. “Teenage did well in his first game, although he was also a bit nervous,” said Komphela. 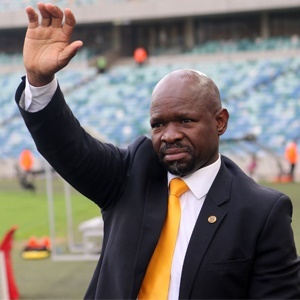 Komphela was also very satisfied with how Gustavo Paez made good off-the-ball runs. Chiefs are currently in fifth position on the log table, having collected 16 points from 12 matches. That’s only two points behind log leaders Baroka FC, although they have a game in hand. “We just need to continue fighting as we are looking for the three points,” Komphela concludes. Chiefs’ next league fixture is away against Chippa United at the Nelson Mandela Bay Stadium on Wednesday, December 6.